Bereavement groups may play an important role in your emotional well-being as you are confronted with the loss of a loved one. Palomar Health encourages you to seek support from credible groups that can provide you with information, advice and understanding from peers and medical professionals. Some people who have participated in bereavement groups say the experience gave them an emotional connection when they felt isolated from friends and family. A group can provide and share information on how a bereaved person can cope during the first year after a loved one’s death. People involved say this exchange of information is one of the most valuable elements of participating in a support or bereavement group. Moreover, support and bereavement groups offer people the opportunity to release powerful emotions they may otherwise keep to themselves. Health-care providers say support groups can improve a participant’s mood and decrease psychological distress. 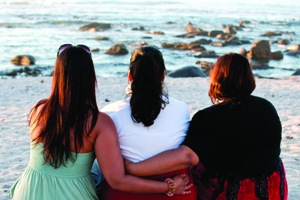 Support groups are offered in San Diego, Carlsbad and Escondido. To sign up, please call their Counseling Department at (800) 797-2050. GriefShare aggregates independently-run groups. Groups are generally run by a religious institution and may charge a fee for learning materials. The times and locations of groups vary. To sign up, please visit griefshare.org and enter your zip code to find groups in your area. Meetup.com allows individuals to set up their own grief support groups in their neighborhood. To see available groups, or start your own, please visit grief-support.meetup.com. To sign up, please call (858) 503-4913. Sometimes people who lose loved ones may require help beyond a support group. If a support group isn’t providing the help you need, contact your care provider to discuss your situation, or call 211.